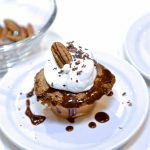 Craving something sweet, decadent, delicious and above all, easy? 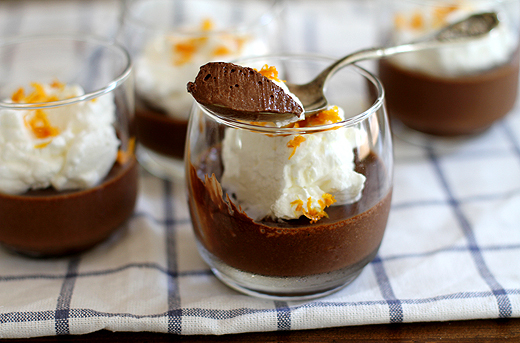 Use your KitchenAid® Torrent™ Magnetic Drive Blender to make this dark chocolate orange mousse with a touch of sea salt. 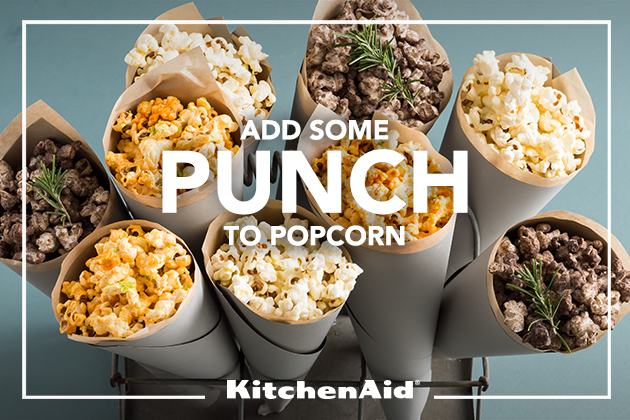 With just a few ingredients and a few minutes’ prep, you’ll have a fantastic treat perfect for any occasion. I’m the kind of person who, when she craves a certain dessert, can’t rest until she has it. Sometimes that craving is for something warm or gooey, like a cookie; other times, it’s for something fluffy or tender, like a cake. 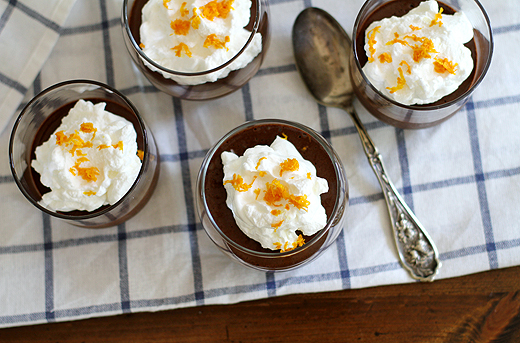 Most often, however, it’s for something that exactly resembles this dark chocolate orange mousse. 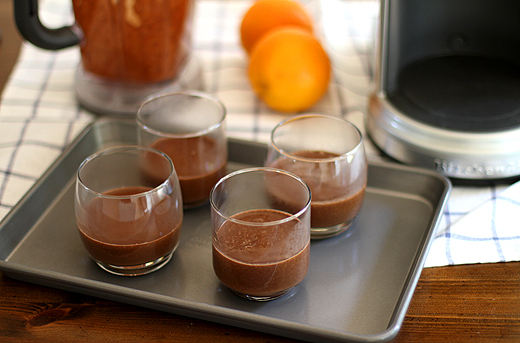 The first time I’d tried making mousse in a blender, I couldn’t believe how easy it was! 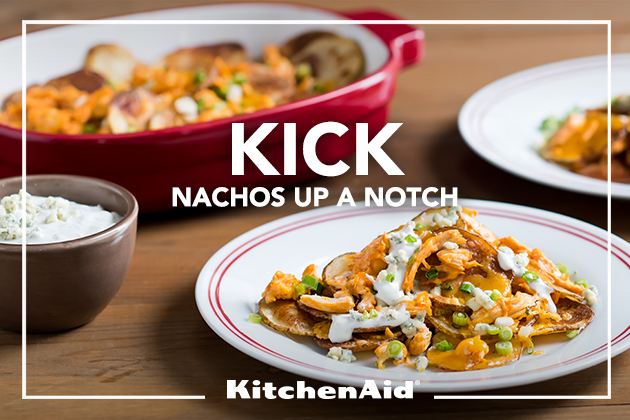 Since then, I’ve made all sorts of variations and flavors, but this recipe continues to be my main craving. One bite and you, too, may just feel the same way. 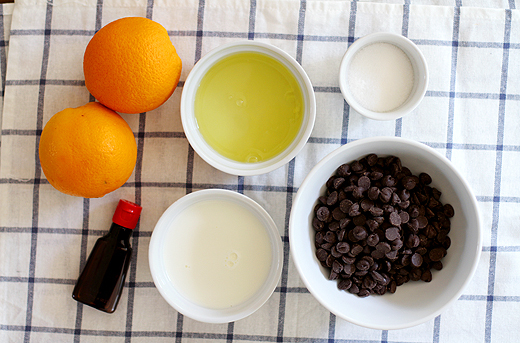 To make the mousse, you’ll need semisweet chocolate chips, sugar, sea salt, milk (whole or 2% work best for the richest flavor), egg whites and pure orange extract. 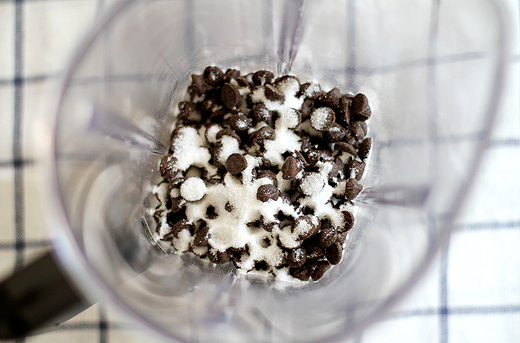 In your Torrent™ Magnetic Drive Blender, combine the chocolate chips, sugar and sea salt. In a small saucepan over medium heat, bring the milk just to a simmer, then pour it over the mixture in the blender. Let the mixture sit for 1 minute, then blend it all together on medium-high speed. 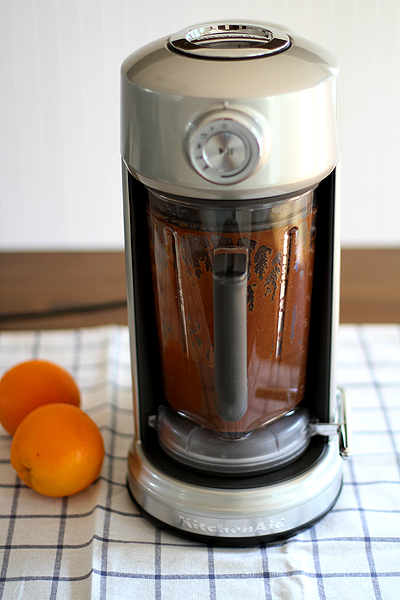 Add the egg whites and orange extract to the blender, then blend everything again on medium-high speed for 1 minute. The mixture should be smooth, well combined and just slightly thick. If it isn’t, not to worry, it’ll thicken up a lot once chilled. Pour the mixture evenly among 4 serving glasses, then transfer the glasses to the fridge. Let the mousse sit for at least 4 hours until firm, but even up to 8 hours or overnight is best. 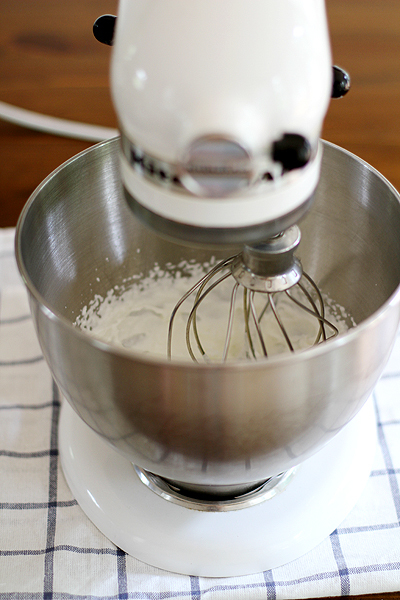 Once you’re ready to serve the mousse, use your KitchenAid® Stand Mixer with the whisk attachment to beat some cold heavy cream just to stiff peaks. Dollop the whipped cream on top of each serving glass and sprinkle the tops with fresh orange zest, if desired. Serve immediately. When you’ve got a dessert craving you can’t shake, make this easy blender mousse your go-to treat. To a blender, add chocolate chips, sugar and sea salt. In a small saucepan over medium heat, bring milk just to a simmer. Pour milk into blender; let stand 1 minute. Blend mixture on medium-high speed 1 minute until well combined and smooth. Add egg whites and orange extract; blend on medium-high speed 1 minute more. Divide mixture among 4 small serving cups or glasses. 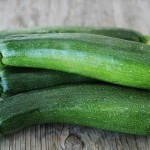 Chill in refrigerator at least 4 hours or overnight. 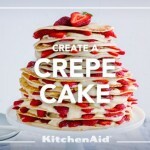 In a KitchenAid® Stand Mixer with whisk attachment, beat heavy cream on high until stiff peaks form. Dollop whipped cream on top of fully chilled mousse, then sprinkle with orange zest, if desired.